10 signs that a caregiver is experiencing burnout and how to fix it. When you’re caring for someone else, and running your own household, your needs tend to fall to the bottom of the list. While this is a perfectly normal response, it isn’t the healthiest response. You can’t pour from an empty cup, so taking care of your needs is not selfish, it is critical. Easier said than done, I know. I am the worst at following this advice. I have been known to push myself to the point of illness to take care of everyone else’s needs. In fact, I was reviewing resumes for drivers while in the hospital after giving birth so that my clients would still have transportation after an employee quit. This isn’t me bragging about my superwoman abilities, this is me pointing out a major flaw. Because I push myself far past the breaking point, I deal with a lot of stress-related health issues. I am really trying to focus 2016 on making sure I care for myself, while caring for others and I encourage you to do the same. These are the top 10 signs of caregiver stress and ways to relieve it. Join me in taking better care of yourself this year. Denial about your parent’s condition and the effect on the person who’s been diagnosed. For example, thinking, “I know mom is going to get better,” rather than addressing the condition. Knowledge is power. Research the condition and speak with your parent’s medical provider on what to expect and how you can manage the condition. Anger at the caree or others, anger that no cure exists and anger that people don’t understand what’s going on. For example, “I don’t have time to shop for my mom, why can’t she just do it herself?” If you are feeling angry or frustrated with your caree, you may need to take a step back. Enlist help from a sibling, neighbor, friend or community program. If your parent has dementia, consider an adult day care program a few days a week to give yourself some downtime. If your parent needs more help around the house than you are able to provide, consider hiring a caregiver or a college student to do some light housekeeping. It is normal to get frustrated with the situation and you deserve a break. Don’t feel like you can’t step away. Social withdrawal from friends and activities that once brought pleasure. Have you stopped participating in your book club or meeting your friends for brunch? This could be a sign of depression or a sign that you are overwhelmed. Reach out to your loved ones and let them know that you need support. If it is to the point where you just can’t bear to be around people, you may want to consider speaking with a therapist or clergy member. Anxiety about facing another day and what the future holds. Are you constantly thinking about what will happen when your parent needs more care than you can provide? Rather than thinking about all the what-ifs, make a list of your concerns and ways to overcome the challenges. Having a plan in place will help make the unknown less scary. Depression that begins to break your spirit and affects your ability to cope. If you feel like you don’t care anymore, you should consider talking to someone. Speak with a counselor, join a support group or schedule time with a friend to get away from the constant stressors. Exhaustion that makes it nearly impossible to complete necessary daily tasks. If you are feeling like no matter how much you sleep, you don’t have the energy to get through the day, you need to take time for yourself to recover. Take a morning walk or set aside 10 minutes to meditate. Figure out what works for you to re-energize and work it into your daily routine. It doesn’t have to require a large time commitment. Sleeplessness caused by a never-ending list of concerns. Do you have a constant to-do list running through your head or are you thinking of the what-ifs regarding your parent’s condition? I struggle with insomnia, so I am definitely not an expert on this one, and even when I wear myself out, I still have difficulty sleeping. Some things that have worked for me include making a to do list, reading a magazine before bed (if I try to read a book, I have a hard time putting it down), take a warm bath and stretch before bed. Irritability that lends to moodiness and triggers negative responses and reactions. Do you just want to be left alone and does everything everyone around you does annoy you? It probably isn’t them, it’s you. If you can, take some time for yourself to do something you love. Get out in nature, go to the library, go somewhere quiet where you won’t be bothered. If you are caring for someone who can’t be left alone, consider bringing in help for an hour every week or every other week so that you can have time to just think about your needs. Lack of concentration that makes it difficult to perform familiar tasks. Are you forgetting appointments or did you drive home and miss the off ramp? You may have too much on your plate. Take some time to think of how you can take things off your plate. I have some tips for caregivers in the sandwich generation that work for anyone, as well as caregiver shortcuts that could help. 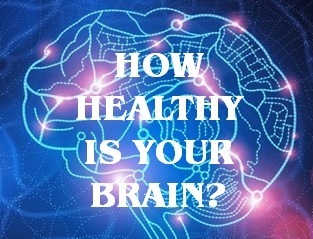 Health problems that begin to take their toll, both mentally and physically. Sadly, I am an expert at this one. Stress can cause major health issues from headaches to diabetes. Finding ways to reduce your stress is critical to living a long, healthy life. Find things that reduce stress for you – exercise, laugh more, knit, color, spend time with your friends. Whatever it is that helps you reduce your stress levels, make sure that you find ways to squeeze it into your day. Your health depends on it. If you are having a tough time coming up with stress relievers, check out my post on finding joy and 8 things happy people do for some ideas. Caregiving can sometimes be a thankless job that comes with time constraints that make it difficult to practice self-care. Don’t let yourself fall to the bottom of the to do list. How can you incorporate stress relief into your life?